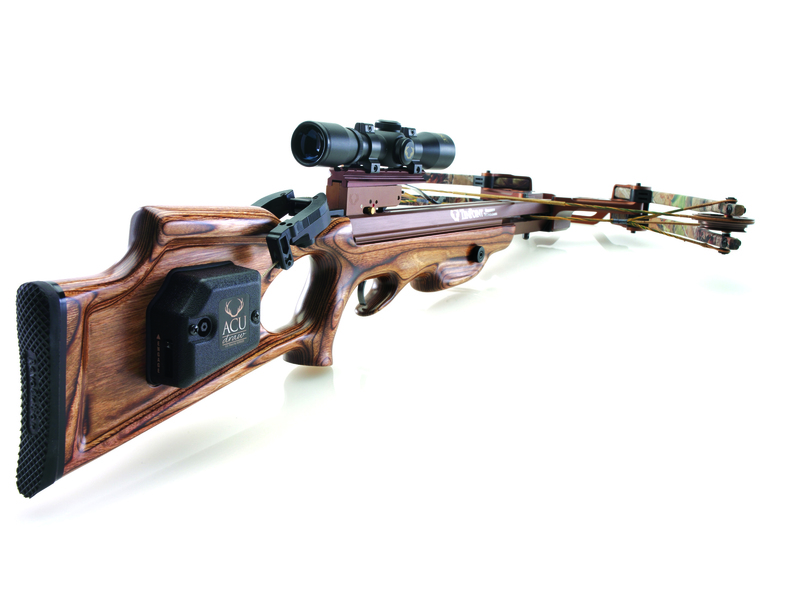 Modern crossbows provide ideal speed and ease of use. But like all bows, they have shooting-distance limitations. No doubt about it, the crossbow gets a bum rap. Of all primitive weapons, the crossbow is probably the least understood by hunters and the public. 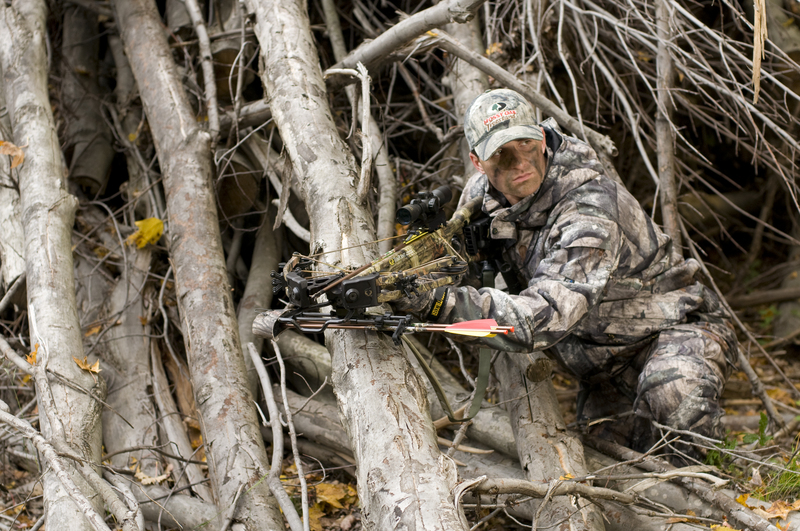 There’s a great deal of prejudice against crossbows in many bow-hunting circles. Some individuals and organizations deny that crossbows are bows. Others casually lump them into the same category as muzzle-loading firearms. In fact, crossbows have been considered bows for centuries. Longbows and crossbows were rapidly abandoned as weapons of war in Europe when armies acquired the most primitive muzzleloading firearms. The bow is simply a mechanical device designed to send an arrow accurately on its way to a target the shooter selects. In the case of a vertical handheld bow, the bow is loaded by placing an arrow on the bow’s arrow rest and nocking the arrow on the bow’s string. Then, using the fingers or a release, the string (carrying the arrow with it) is drawn back, transferring the shooter’s muscle energy via the bowstring to the limbs of the bow, where this energy becomes stored. When the shooter releases the string, the stored energy in the limbs is transferred, again via the bowstring, to the arrow, driving the arrow toward the target. 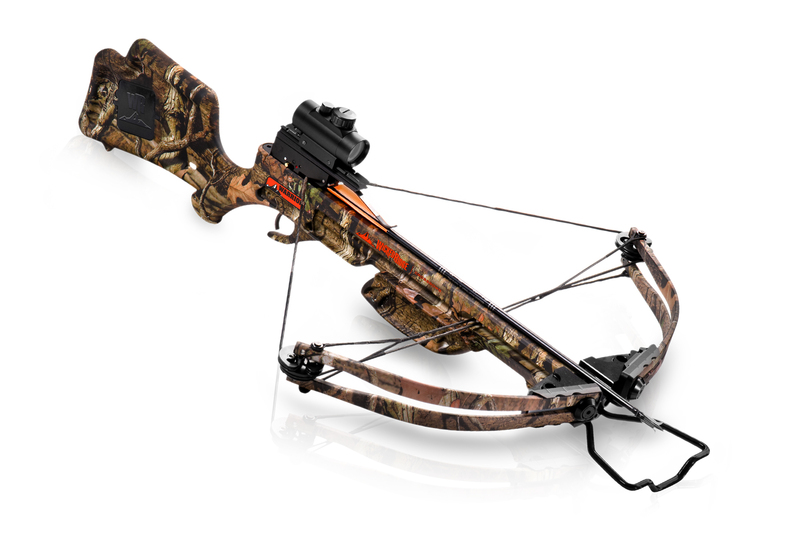 Lightweight and sturdy, the Warrior Crossbow from WickedRidge offers exceptional performance and quality at an attractive price point. There’s nothing mysterious about crossbows. They are simply short bows held horizontally on rifle-like stocks. Crossbows store and deliver energy in the same way as any other bow. In short, they are subject to all the laws of physics and limitations that apply to upright handheld bows. However, the sequence of loading and firing a crossbow is different. First, using a rope-pulley assembly or a crank mechanism, which can also be drawn manually, the bowstring is drawn back by the shooter and locked into position at a nock point with a trigger mechanism. This action transfers the shooter’s muscle energy to the limbs of the bow, where the energy becomes stored energy. Only then is the arrow loaded, usually by placing it on the crossbow’s stock groove and sliding the arrow’s nock point up to the string. When the trigger is pulled, the stored energy is released and transferred to the arrow via the string, sending the arrow to the target. Modern hunting crossbows have 125- to 225-pound draw weights, so many hunters incorrectly assume this makes these crossbows super powerful and super-fast long-range weapons. Nothing could be further from the truth. In fact, crossbows generally have shorter power strokes than do conventional compound and traditional bows; therefore, they need heavier draw weights to deliver the same performance as vertical bows. They are still very much short-range weapons. Let’s consider arrow trajectory as one example. Only two things affect the trajectory of an arrow: velocity and drag. Arrows shot at the same speed and having similar drag and will have similar trajectories. However, the shorter an arrow, the harder it is to achieve stable flight. When we were kids, we would cut long slender alders to throw as makeshift spears? The longer the shaft, the easier it was to get stable and accurate flight. When the back end of those “spears” tried to move sideways, the body of the shaft met air pressure that tended to move the body back into a position parallel to the intended flight path. 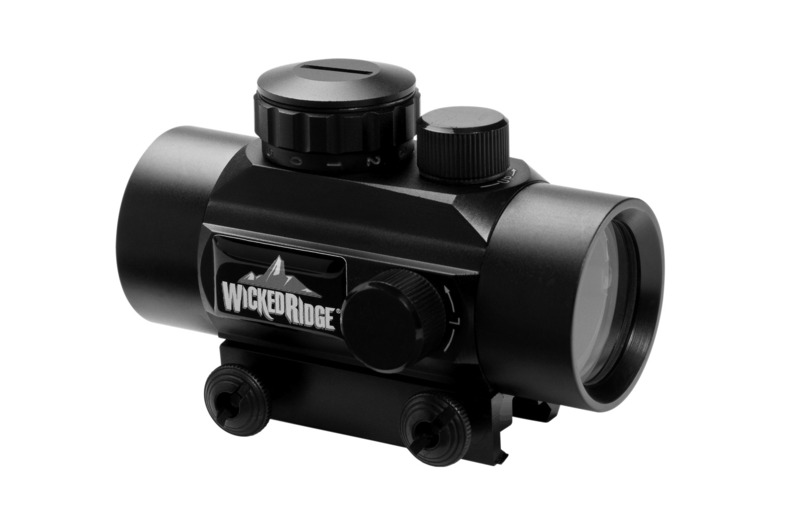 Offering an illuminated dot aim point view of a target’s vital areas, scopes such as the WRA080 Ridge-Dot Scope from WickedRidge provide a non-magnified but effective sighting option. Arrows are no different. Long arrows will stabilize quickly by virtue of their long bodies. When we put fixed-blade broadheads on any arrow, they try to steer the shaft from the front. We counteract this by creating drag at the rear of the arrow by adding either vane or feather fletching. The surface area of a broadhead is greater, so more fletching drag is needed to get stable flight. Modern crossbow arrows are simply short arrows. Other things being equal, crossbow broadhead-tipped arrows need more rear drag to achieve stable flight than do the longer broadhead-tipped arrows shot from vertical handheld bows. It’s normal to see most crossbow hunting arrows equipped with minimum 4-inch fletching (and often 5-inch fletching) to acquire the necessary drag. This fletching must also be offset or helical to create a spin that helps the arrow steer to center. More drag means the crossbow arrows will slow down in flight more quickly than will long arrows used with vertical handheld bows. A few years ago I conducted tests to compare the trajectories of crossbow arrows shot from an Excalibur Exocet 175-pound crossbow with trajectories of arrows shot from a Golden Eagle Splitfire 70-pound compound bow. To my surprise, I got almost identical performance out to 50 yards. The arrows from both types of bows had arrow drops of more than 2 feet between 20 and 50 yards. Both arrow groups demonstrated similar patterns of critical drop after 30 yards. These tests demonstrated why many crossbow manufacturers recommend 40 yards as the maximum effective range for their crossbows. Like their compound-shooter counterparts, experienced and highly skilled crossbow hunters might extend this maximum range to 50 yards under ideal conditions. But trajectory and consideration for the animal hunted doesn’t warrant shooting beyond these limits. In any case, great advances have been made in vertical handheld bows and crossbows since that article was published. Arrow speeds and kinetic energies have increased for both groups, and these advances are similar for both types of bows. In fact, they’re almost parallel in their development. The Phantom Xtra is a high-end top performer. Since writing the above-mentioned article in 2004, I’ve enjoyed shooting many different types of crossbows from ground level and from treestands. For me, these experiences have demonstrated major advantages and disadvantages of crossbows compared to other types of bows. Major Crossbow Advantages: One advantage of crossbows is that, once the arrow is loaded, the shooter does not have to hold the bowstring in a drawn position. The string latch inside the trigger mechanism holds the string for the shooter until the trigger is pulled. A second advantage is the ease of use for new shooters. Rifles and crossbows are held and aimed in the same manner when fired. Therefore, experienced rifle shooters shooting crossbows for the first time can initially relate more to (and achieve greater accuracy with) crossbows than with either compound or traditional bows. Major Crossbow Disadvantages: One disadvantage of crossbows is that cocking and loading a crossbow takes more time than drawing and nocking an arrow on a compound or traditional bow. A good longbow or recurve shooter can get several arrows away while a crossbow is being re-cocked and reloaded. This slow cocking and loading problem is compounded by the fact that a crossbow string must be drawn perfectly straight to insure accuracy. A string variance of 1/4 inch on either side of the trigger’s string latch can cause the bolt to shoot off center by 4 inches at 20 yards. Crossbows are also generally louder than traditional and compound bows, so it is unlikely a hunter will be able to get a second shot off using a crossbow. In recent years, however, crossbow manufacturers have made strides in reducing noise levels. In addition, faster modern crossbows make it more unlikely that a deer can react fast enough to avoid being shot. Anti-crossbow advocates often say crossbow hunters have an unfair advantage because they do not have to draw their weapon at the last minute, thereby creating movement a deer can spot. I find this to be a weak argument in practice. Crossbows are not held in a shooting position while waiting for animals to show up. I have found that raising a crossbow to aim and fire involves about as much movement as drawing back a compound bow. I also have found that maneuvering a crossbow for a shot behind a treestand is exceptionally awkward and sometimes impossible. In terms of performance, today’s high-quality crossbows are more efficient, faster and easier to use than ever. However, before rushing out to make your purchase, do your homework. Crossbow manufacturers don’t follow common standards when advertising their performance data. For example, not all manufacturers use the same arrow weight when publishing their arrow speed. Until some standards are put in place that all manufacturers follow, which would enable buyers to intelligently compare crossbow products, it’s a “buyer beware” market. Finally, while crossbows might be easier to master than a conventional vertical bow for the inexperienced bowhunter, they still require all the bow-hunting skills traditional and compound bow hunters must learn in order to get close enough to the animal to be successful. Each type of bow has advantages and disadvantages. But, both are viable types of archery equipment. In terms of arrow speed and trajectory, they are comparable weapons. All commonly used dictionaries define a crossbow as a medieval weapon consisting of a bow fixed across a stock that has a groove along the middle to direct an arrow or bolt. The term “bolt” is still used by some when talking about crossbow arrows. The bolts used in modern crossbows are simply shorter versions of the arrows used when shooting traditional or compound equipment. True crossbow bolts were short, solid metal projectiles intended to penetrate armor at very short distances. The term “arrow” is used in the accompanying article. —A.G. Manufacturers of crossbows often sell scopes as accessories for their bows. Many hunters automatically associate scope sights with long-range shooting. But scopes don’t make crossbows long-range weapons. Scopes primarily help achieve better accuracy by giving a close view of a target’s vital areas. Scopes also help gain better performance in low-light conditions through their light-gathering properties. Other types of sights, such as red-dot sights, fiber-optic pins, and lighted pins, have the same purpose on a crossbow as on other bows. —A.G. DO CROSSBOWS HAVE A WEIGHT PROBLEM? Reverse-limb technology on some new crossbows allows the bow to be much nearer the shooter. This makes these crossbows less front-heavy. Other crossbow manufacturers are addressing this front-heavy problem in different ways. This could include use of shorter and lighter parallel-limb construction bows, use of forearm grips that can be moved to better accommodate the shooter, and body designs that more effectively distribute the bow’s weight. —A.G. This entry was posted in Uncategorized and tagged Crossbows. Bookmark the permalink.